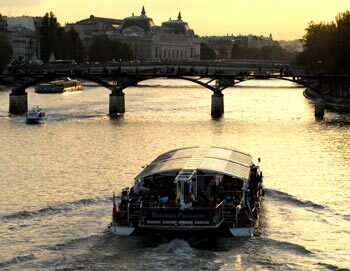 Enjoy a dinner cruise on the Seine River, then visit the Eiffel Tower and end the evening with a cabaret at Moulin Rouge. 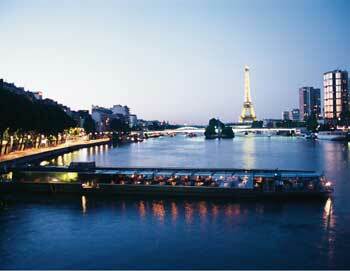 What more can you wish of a night in Paris! 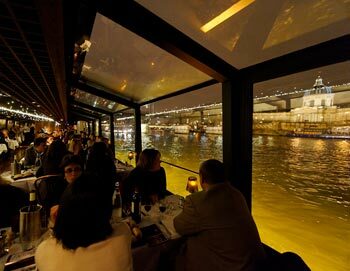 You'll start this evening by enjoying a lovely dinner onboard one of the boats from the Marina de Paris, while you sit and watch as you'll pass some of the most beautiful monuments facing the Seine River. Onboard you'll enjoy your dinner consisting of: A selection of starters, à la carte main course and a selection of desserts. Water and wine is included in the price. Your cruise will take you to the foot of the Eiffel Tower, where you will skip the queue and take the elevator straight up to the 2nd floor of the Eiffel Tower. 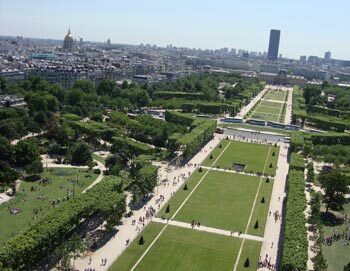 From here you will discover a unique panorama view of Paris. As the last part of this incredible evening, the bus will drive you to Moulin Rouge, where you will see the show Féerie - the latest Moulin Rouge cabaret. Here each of you will be served half a bottle of champagne to enjoy while watching the show. A luxury coach will drive you between the attractions and back again, and there is a French and English speaking guide with you all the time. The tour starts at the PARISCityVISION office. Please be there at least 30 minutes before the tour starts. You will be asked in the bus which hotel you live at, and if it is in the centre of Paris, the bus will stop in the near your hotel, so you can get off there. The tour lasts 7-8 hours. 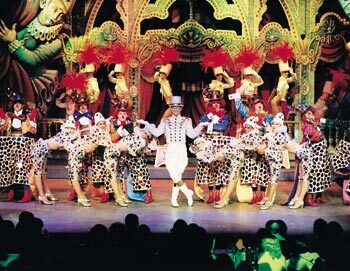 - There are often many people at Moulin Rouge, the space at Moulin Rouge is limited and feel crowded. November to March: Thursday to Saturday only.